Occupational asbestos exposure is correlated with a high risk of urinary bladder cancer. The microscopic size of the fibers allows asbestos to enter the bloodstream after inhalation, which can subsequently reach the urinary tract, while ingested asbestos particles can also become embedded in the walls of the bladder while they are being flushed out, scarring the tissue and forming tumors and cancer inside the bladder. You will need an additional medical diagnosis of asbestos fibers in your lungs or other lung condition in order for our attorneys to be able to take your case. Environmental Litigation Group can take your case only if added to a bladder cancer diagnosis you receive a subsequent medical evaluation and the chest X-ray screening shows scarring or damage in your lungs. The link between occupational asbestos exposure and urinary bladder cancer is supported by reliable medical evidence, including our own internal research and many medical studies. The body flushes out asbestos fibers primarily through the urinary system, as well as other carcinogenic agents, which facilitates the development of malignant tumors inside the bladder, resulting in bladder cancer. In order for us to take your case, you will need an additional diagnosis that shows lung scarring, fluid or other damage. There are multiple ways in which asbestos fibers can reach the urinary bladder. Some ingested fibers can remain inside the bladder after urine expulsion or enter it by traveling through the circulatory system. Asbestos fibers which were inhaled can also reach the bladder, as well as the kidneys, by infiltrating the bloodstream. Over the years, the toxic particles will cause inflammation and tissue scarring, which may, in turn, lead to the onset of urinary bladder cancer. The causes of bladder cancer vary greatly, from acquired or inherited gene mutations to lifestyle choices such as tobacco smoking. However, it has recently been discovered that asbestos exposure also represents a risk factor for bladder cancer and many other urinary problems as well. Because asbestos fibers – being microscopic and often needle-like – can travel through the body, they can easily reach the urinary system as well, where they might get stuck and gradually lead to inflammation and tissue scarring. These symptoms could, over time, give way to a malignant tumor inside or outside the bladder. It is worthy of note that people who already suffer from a disease caused by asbestos exposure, such as pulmonary issues, lung cancer or mesothelioma, are at higher risk of developing bladder cancer, as well as other secondary asbestos-related illnesses, as asbestos fibers are more likely to reach the bladder. It is vital to closely monitor your health if you have a history of occupational asbestos exposure or a related diagnosis. Moreover, if you were exposed to other chemicals in the workplace for a long period of time, your chances of developing bladder cancer also increase. Therefore, a combination of asbestos exposure or the existence of asbestos fibers in the body and the inhalation or ingestion of other toxic substances is substantially more dangerous as it increases your chances to develop bladder cancer sooner. When it comes to misdiagnosis, bladder cancer is no exception. As numerous other malignant cancers, it is often mistaken for less severe conditions, such as urinary tract infections, interstitial cystitis, bladder papilloma, passing a kidney or bladder stone, overactive bladder, renal cell carcinoma or, in the case of men, the enlargement of their prostate or prostate cancer. If you receive any of these diagnoses and have a history of occupational asbestos exposure, it is crucial that you seek a second medical diagnosis and have a medical specialist examines your lungs as well, as your condition might unfortunately not be what it seems. We strongly recommend going to at least two medical experts when asbestos exposure is involved, as these diseases are often very challenging to correctly diagnose, even for the most experienced doctors. For us to be able to take your case we need an additional diagnosis like lung scarring, fluid or tumor, which are always present due to workplace asbestos exposure. Before the ‘80s, when asbestos use was at its highest, secondary exposure was extremely common. This is why nowadays many people who lived under the same roof as asbestos workers came to struggle with the same cancers and diseases as employees themselves. Secondary asbestos exposure entails inhaling or ingesting asbestos fibers which came off the workers’ clothes, shoes, skin or hair. There were plenty of ways the family members of workers could have breathed in toxic asbestos fibers, such as while laundering their clothes, when children were greeting or playing with their fathers or when using the same furniture as them. If you have a family member who used to handle asbestos at work and you were diagnosed with bladder cancer, we encourage you to get your lungs checked because our attorneys can only help those that receive an additional diagnosis such as lung scarring, pleural fluid or tumors. Compensation can help you afford expensive medical treatments and medication, and also giving you access to a higher quality of life. Our attorneys have over 50 years of experience with cases involving asbestos exposure and will invest all their energy and resources in obtaining the highest monetary compensation available to you and your family members. Poor health will often make asbestos victims reluctant to seek legal help during their lifetime, which leaves them and their family at a financial loss due to the medical treatments being so expensive even with insurance, not to mention they are missing out on money they are eligible for. Nevertheless, any of their immediate family members can recover the money on their behalf with the assistance of a specialized team of lawyers. If you find yourself in this tragic situation, you will need to provide a recent chest X-ray, show asbestos relevant employment for minimum 3 years, medical records, death certificate, and we will evaluate your case. However, you should keep in mind that taking legal action as soon as possible is essential, as the statute of limitations – which ranges between 1 and 3 years, depending on the state you reside in – will prevent us from filing a claim with asbestos trust funds if it expires. Therefore, contacting our attorneys shortly after your loved one passes away is highly preferable, although we know how difficult that might be for you. 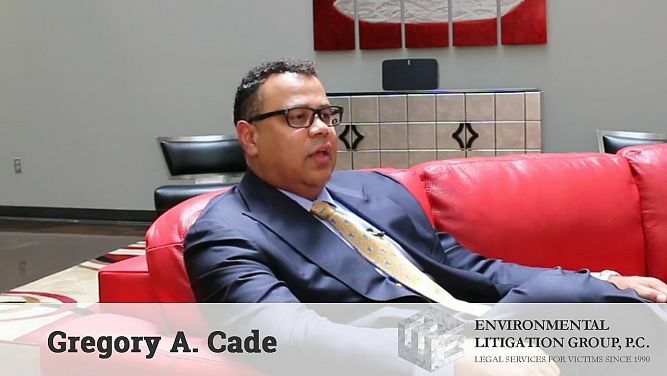 This page was last updated on April 15th, 2019 PST by Gregory A. Cade at Environmental Litigation Group, P.C.